My niece asked me to help her with a quilt for someone who was just diagnosed with leukemia. We’re calling this quilt Healing. When he lays under it, the bright colors covering him will represent our prayers for his health. (Imagine more rows of gray along the sides as pictured near the very top, I have the fabric on order.) Projects like this are especially rewarding for me, and I’m glad my niece asked for my help with it. 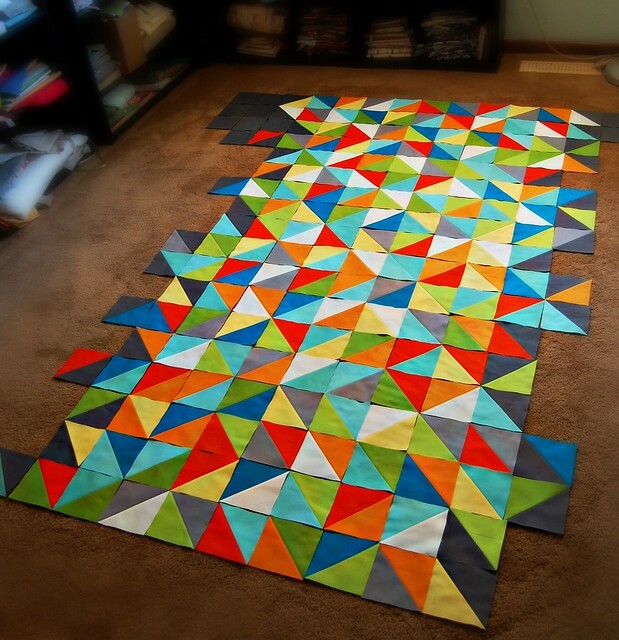 Hopefully I’ll be showing you the finished quilt soon! Sarah, this is awesome and I love the colors representing your prayers. I’ll be praying for him too. All the best for your friend. The quilt is wonderful, the bright colors always cheer up!